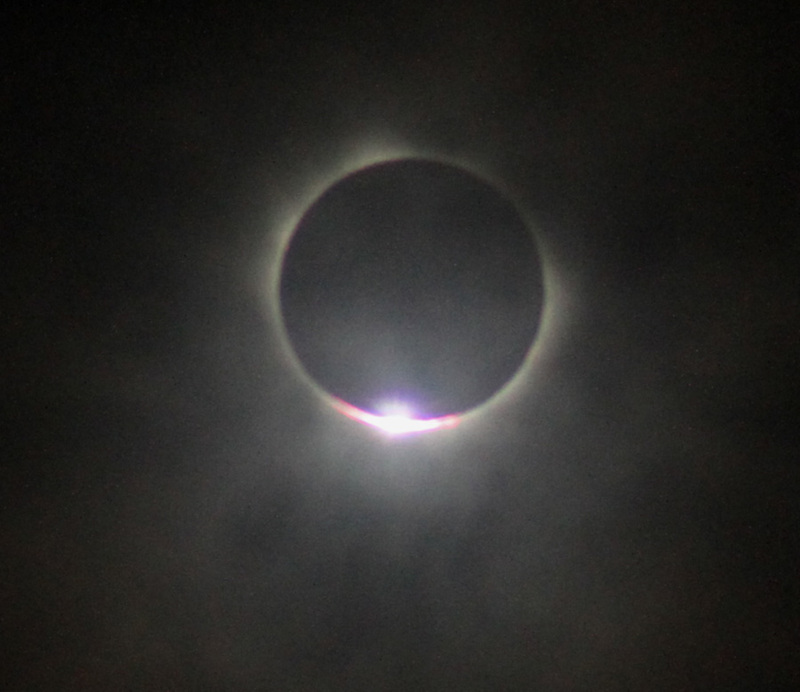 Oh, I know, she had to go off on some super vacation to French Polynesia and see a total eclipse of the sun. But I don’t get why they couldn’t reschedule the solar eclipse so that it didn’t conflict with my birthday! If my owner loved me, I’m sure she would have done that. Anyway, I did get a whole lot of birthday wishes on Facebook and I was very happy about that! My FB friends did not forget me. 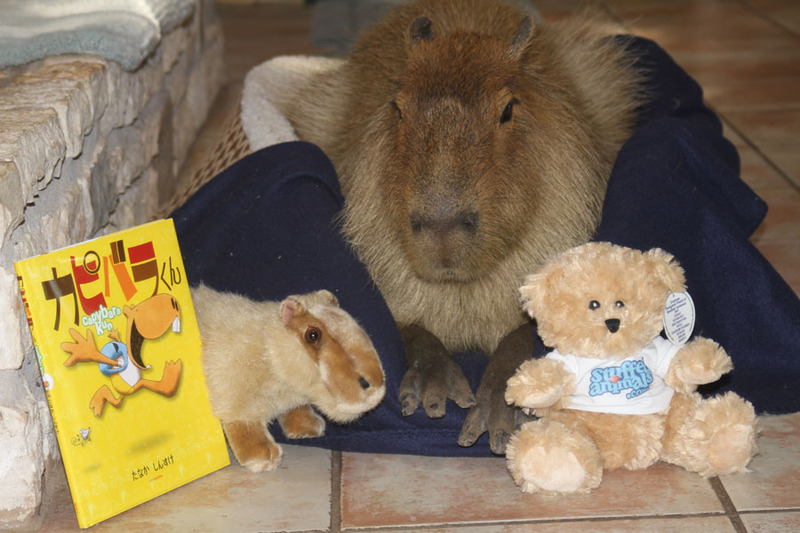 And my little brother Dobby, who is the best little brother a capybara could ever have, sent me a totally cute book about a capybara named Kapibara-kun. It’s written in Japanese but you don’t really need the words to understand the pictures. Dobby also sent me some of his favorite grass. Too bad my lame owner didn’t open it until she got home from vacation and the grass was all spoiled by then. 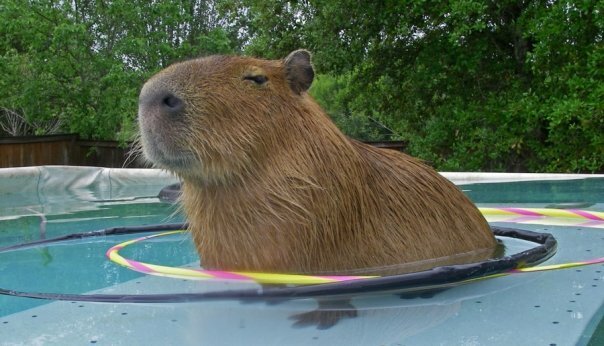 Rick even got me a gift of a stuffed capybara toy! It looks just like Carpincho who came to visit me last year. I haven’t named my new toy yet so if anyone would like to suggest a name, I’d like to hear it! Now you might think my owner would have brought me back something really special from French Polynesia but you’d be wrong. She didn’t bring me a darned thing. And then she tried to pass off this cute little teddy bear that she got for free from stuffedanimals.com as an actual present for me. That teddy bear is sample of what the plush version of me might look like. It’s not going to be realistic like the toy Rick gave me but it’s not going to be fluffy like the teddy bear either. At any rate, I love my new teddy bear and he is really super soft and bite-able. He is looking for a name too. Any ideas? P.S. I am still open to receiving more presents, cards and birthday wishes, in case you were wondering. Caplin, you crack me up!! Happy Birthday, Cutie!! Love you lots and wish you lots of yogurt!! WE do care! 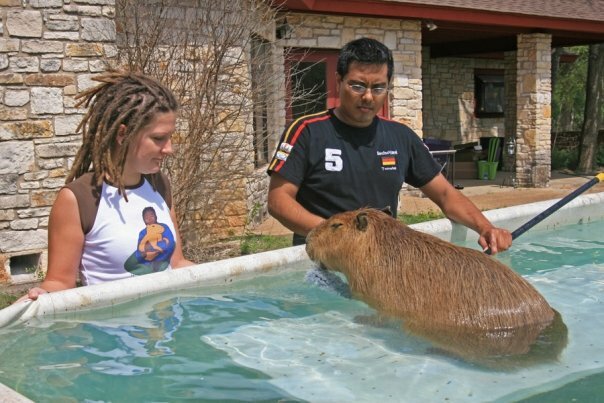 But I can’t blame your owner for going to Tahiti for the eclipse…that is a rare experience. AWWWWWWWWWW!!!!!!! SO CUTE. 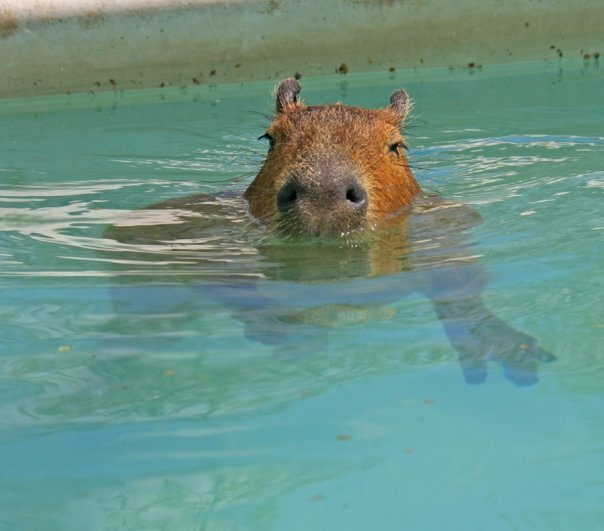 A TEDDY-CAPY FOR CAPLIN. I WISH FOR YOU HAPPINESS AND GOOD HEALTH CAPLIN. You should name your stuffed animal Malta. Do you want me to send new grass, Caplin? Well, you don’t have to but that would be nice. 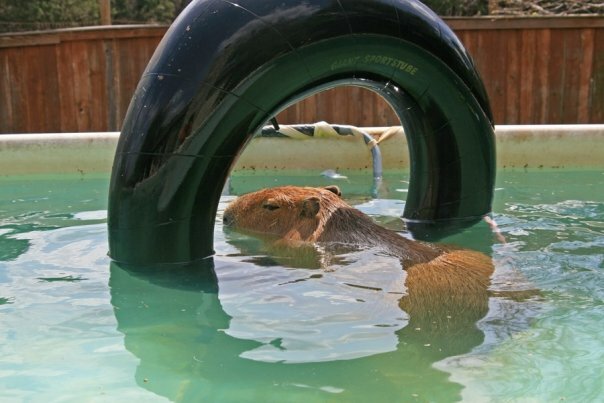 I think Maxine is a good name for your new capybara. 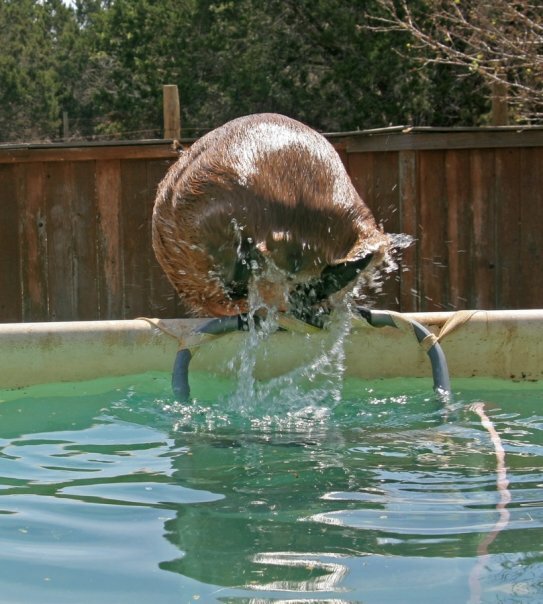 The bear: Hubert. Hey!! Me and you have the same Birthday!! So Happy Birthday to us!!! How about bocadito for the bear, since you said he was quite bite-able? 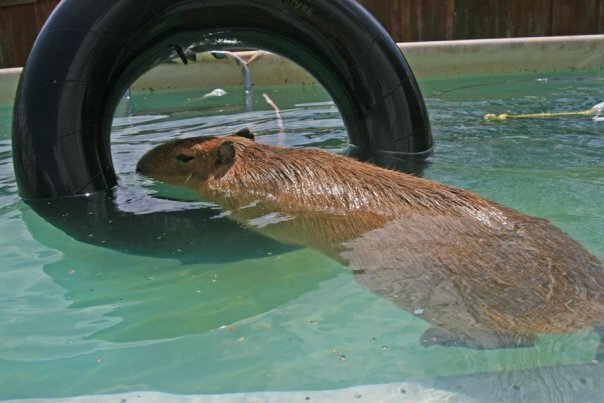 How about Polly for the stuffed capy, since you got it while your owner was visting the Polynesian islands? 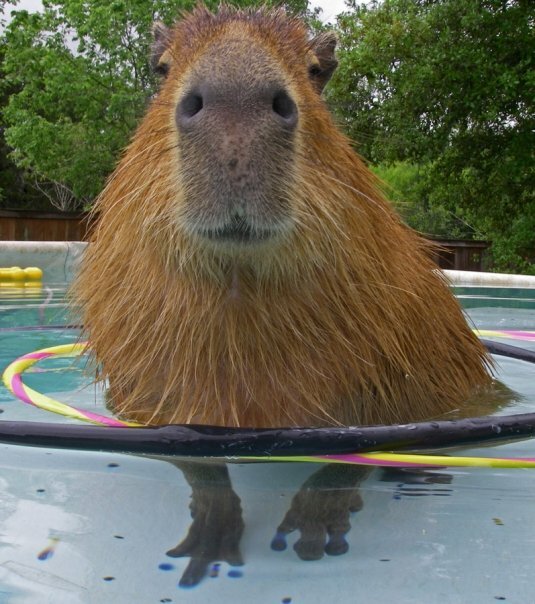 I’d name your new stuffed capy, Blueberry. I bet your owner kissed you a hundred times when she came home!! 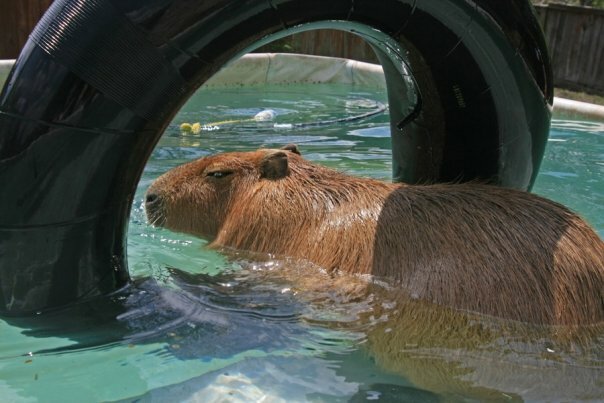 The book is called, “Capybara (Kapibara)-kun.” In Japanese, -kun is a suffix that would be put at the end of a young boy’s name as a term of endearment. I’d call my male students, up to age 8 or 9, maybe 10, (name)-kun. On a sidenote, it’s also the same suffix that a man would put on his best friend’s name, regardless of age, especially if they’ve been friends for years! It’s also appropriate for brother-sister and brothers 🙂 The backpack he has on is light blue, which means the character’s supposed to be in early elementary school. Typically, the summer kindergarten and early elementary uniform for boys (and girls, now!) are blue shorts and white t-shirts. Oh Caplin!! Sorry I missed your birthday. I have visited Moscow, and I have met there with another Carpincho and his owner Lina. They give you their hugs! Hug them back for me if you can. Congratulations, Caplin! You are the cutest one! My cats, Trudy and Cloudy, send you their best wishes!